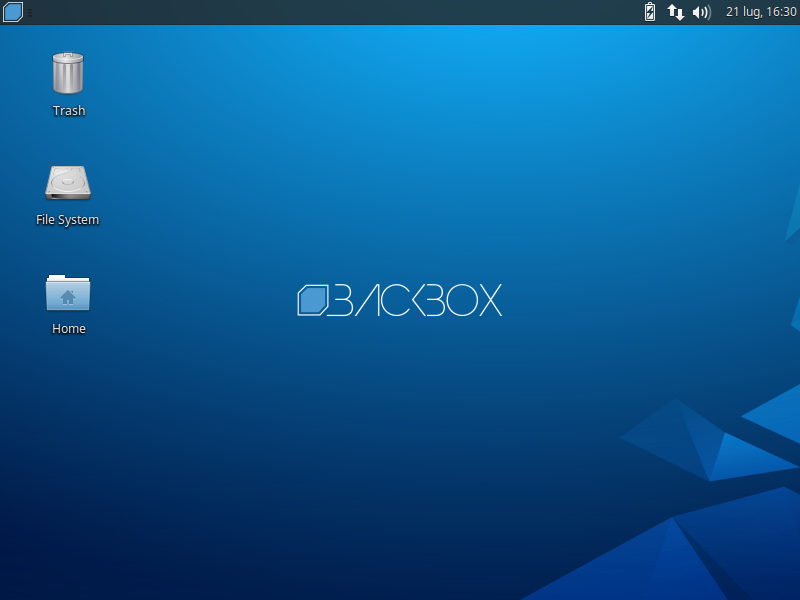 The BackBox Team is pleased to announce the updated release of BackBox Linux, the version 5.3. In this release we have fixed some minor bugs, updated the kernel stack, base system and hacking tools. https://www.backbox.org/wp-content/uploads/2018/09/website_backbox_text_black.png 0 0 admin https://www.backbox.org/wp-content/uploads/2018/09/website_backbox_text_black.png admin2019-02-18 20:11:002019-02-18 20:11:04BackBox Linux 5.3 released! The BackBox Team is pleased to announce the updated release of BackBox Linux, the version 5.2.
https://www.backbox.org/wp-content/uploads/2018/09/website_backbox_text_black.png 0 0 admin https://www.backbox.org/wp-content/uploads/2018/09/website_backbox_text_black.png admin2018-08-09 08:27:542018-10-06 16:52:35BackBox Linux 5.2 released! The BackBox Team is pleased to announce the updated release of BackBox Linux, the version 5.1.
https://www.backbox.org/wp-content/uploads/2018/09/website_backbox_text_black.png 0 0 admin https://www.backbox.org/wp-content/uploads/2018/09/website_backbox_text_black.png admin2018-03-12 14:04:372018-10-06 16:52:27BackBox Linux 5.1 released! Finally the time has come. The BackBox Team proudly announces the major release of BackBox v5. It took long due to several development processes, but we worked hard and got through it. In this major release we made some structural changes, we removed outdated tools and added new ones. https://www.backbox.org/wp-content/uploads/2018/09/website_backbox_text_black.png 0 0 admin https://www.backbox.org/wp-content/uploads/2018/09/website_backbox_text_black.png admin2017-07-21 20:25:042018-10-06 16:52:01BackBox Linux 5 released! Online subscriptions to our association are officially open. Click here to join us. Becoming a member of our association will make you part of a group of people who share the same interests and whose goal is to promote and encourage the availability of cutting edge open-source security-oriented technologies. The small subscription fee enables us to keep on improving our Project and to plan official BackBox events. The price for the membership is €10.00 per Year and, if you join now, your membership will be valid up to december 2018. Join the BackBox Community and be involved in our ambitious project! A member of BackBox community brought to our attention the existence of CVE-2017-7397 asking if it were an actual vulnerability. Short answer: No, it’s not. Long answer: Here follows our analysis. We started by taking a look at CVE requirements for new CVE submissions (http://cve.mitre.org/cve/request_id.html). We noticed that CVE registration requires that the vendor should be notified of the issue raised. Yet, no one, neither the author of the exploit (FarazPajohan https://www.exploit-db.com/author/?a=8879) nor the person who claims to have exploited the system (Hosein Askari), did attempt to get in touch with us in relation to this discovery. Having found his personal email, we approached Hosein Askari, the person who claimed to have exploited the system, asking him to prove what he stated in the CVE. So far, we haven’t heard back from him. Having clear in mind that our first and only interest is to test the CVE, we set up our target virtual machine running BackBox Linux v4.6 (the “vulnerable” version, according to the CVE), ready to perform all kind of tests to be sure that we leave no blank spaces. On the attacker’s side, we downloaded the exploit from https://www.exploit-db.com/exploits/41781/ and compiled it with gcc. Once we got the binary, we executed the exploit against the target VM. In the meanwhile, we monitored the health status of the target. The target VM didn’t feel the CPU consumption claimed in the CVE, rather it was in quite a healthy state. We have performed several additional tests, both on BackBox 4.6 and the latest stable release 4.7. The result was absolutely negative: the system did not suffer any impairment, no crash occured and no anomalies in the CPU consumption/usage were detected. the network layer forwarding function of the Internet protocol suite. In conclusion, we state that the CVE-2017-7397 is completely false and based on imaginary assumptions, without any proof of concept. We have asked MITRE to revoke this CVE, marking it as false record. We would like to invite anyone, including the author, to prove us otherwise. Also, we remind everyone that we are a Free Open Source Software Community and as such we will be delighted if someone will report us bugs and/or vulnerabilities on our system. In the end, this is what a community is made for.